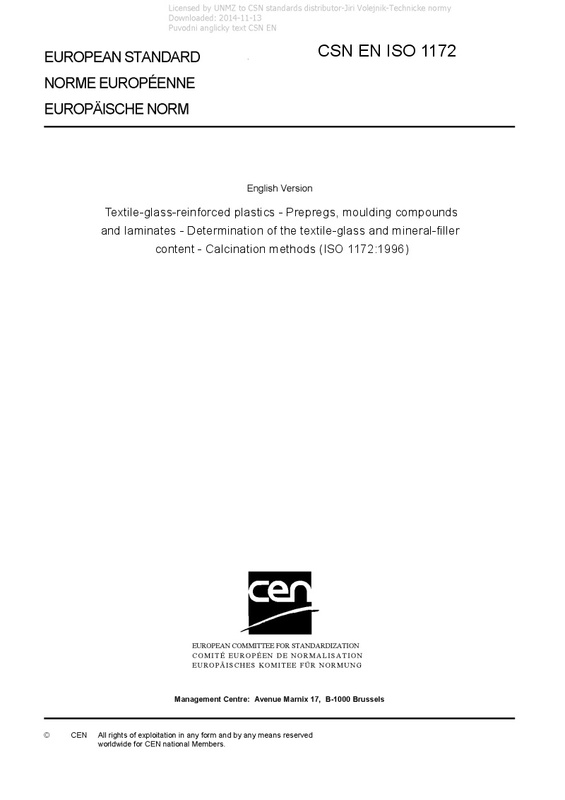 EN ISO 1172 Textile-glass-reinforced plastics - Prepregs, moulding compounds and laminates - Determination of the textile-glass and mineral-filler content - Calcination methods (ISO 1172:1996) - Gives two calcination methods for the determination of the textile-glass and mineral-filler content of glass-reinforced plastics. Method A is used for the determination of the textile-glass content when no mineral fillers are present; method B is used when both components are present. Replaces the first edition.